Only £30 to secure your booking! Once we've confirmed availability for your event's date you can easily secure your Chocolate Fountain(s) with only £30 deposit. 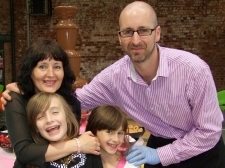 Please note that Coco Falls Chocolate Fountain Hire cannot guarantee your booking until we have recieved your £30 depoist. Please note that the £30 deposit is non-refundable.